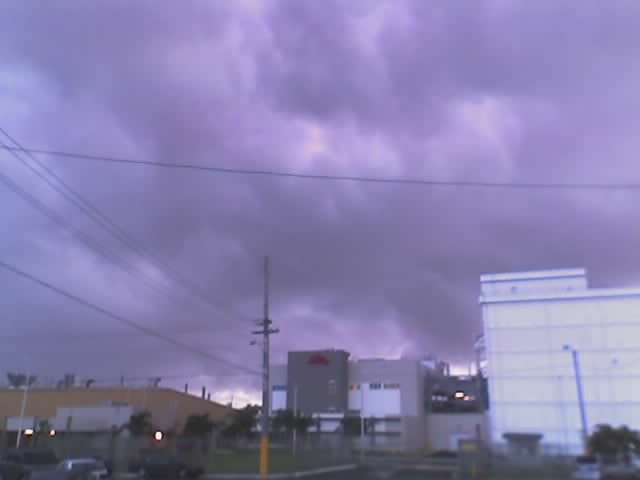 Check out the attached pic so you see the rainy weather in PR this afternoon. For a while now it has been kinda hot here, somewhere in the middle to high 80's, and to make matters worse no rain had made an apprearance for a while. There are many places throughout the island where vegetation started to dry. 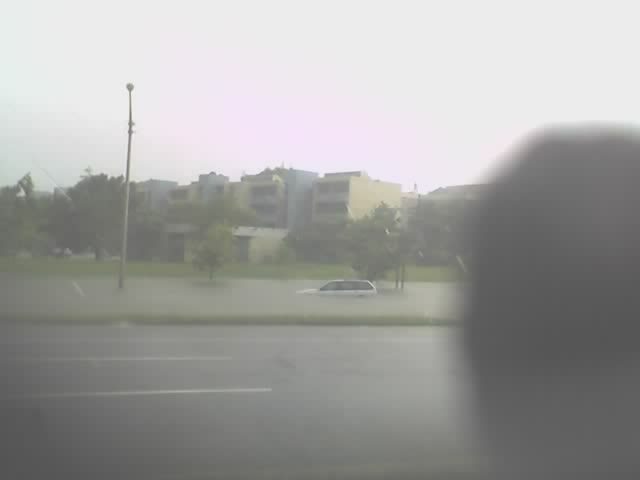 Well, atleast today it rained some in the metro area, in the afternoon hours. That was sweet, it cooled the environment a little. Now the heat is on again! And so is the surf, excellent for surfers! Well, that's it for now fellows, enjoy your week! This message is brought to you by SunCom iNotes Plus. Some rain thru La Cordillera Central. Barranquitas, PR . Ah! Beautiful Sunny day at Metro San Juan. Best wishes to all in 2006! Here in northern PR the weather has been nice, with the small exception of a little shower in the afternoon hours, but nothing major and long gone now. - 30 % of rain!? 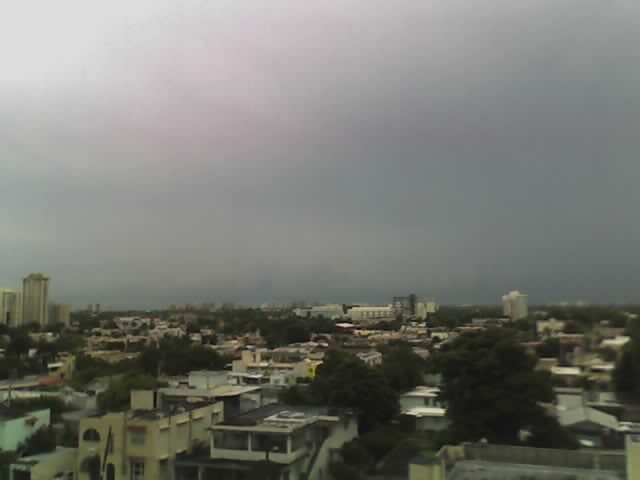 Cloudy afternoon at Metro Area...some rain coming up! 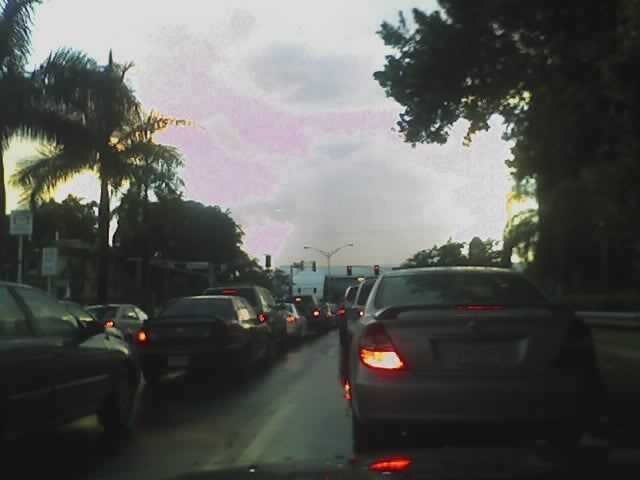 Plus our Holy Traffic Jam. How 2 4get it!!! 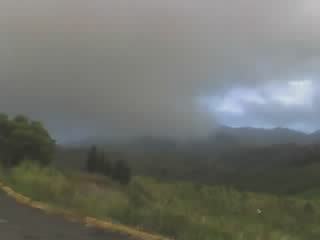 Hello All: Here in northern PR the weather is not nice at all. There are lots of clouds, the temperature is in between 75 and 80 degrees Farenheit, and there are 6 + feet high waves smashing the coast. Right now we are under a light rain. Forget going to the beach or any outdoor activity. The hurricane season is "officially" over...we'll see about that! This morning at 4:30 AM I woke up to strong wind and rain. The gusts from the east/ southeast must've been close to 40 mph, if not stronger. This event lasted for about a half hour. 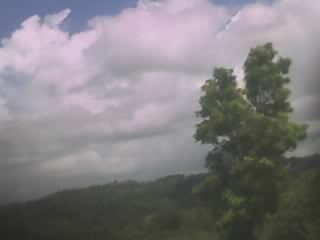 Rain now has been intermitent. The Sun is struggling to shine through the many clouds. Tropical Depression 27 may increase this rain and wind activity over PR and adjacent areas. Will keep you posted. 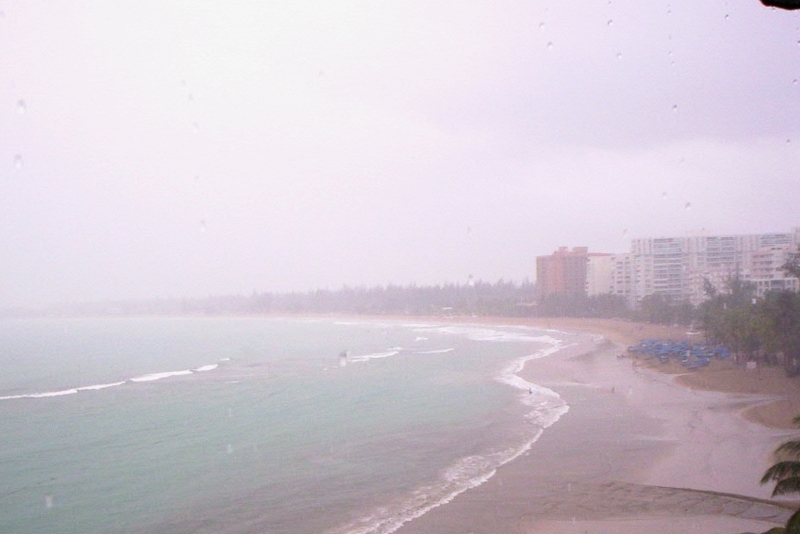 Just experienced a brief but strong shower with winds in the Isla Verde area. Other than this the night has been calm. The temperature here is in the low 80's. 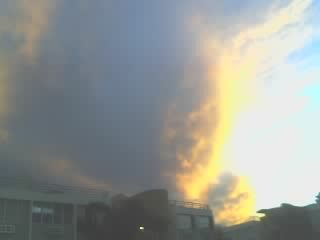 - Wed. afternoon sky on 26 of Oct. 05. 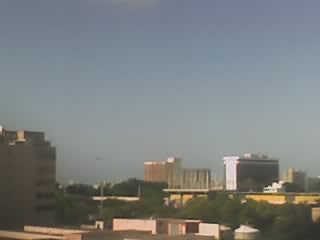 We have a partly sunny sky today in San Juan. Clouds are racing by and a rather nice breeze. Every so often a small rain cloud will let down a few drops of rain.. We've had four days of sun that were welcome since if has been very humid the last four weeks. I want to paint my house and the darn humidity will not let me. I have been waiting for sunny weather suitable for painting for the last two months. Global warming? Freak humid year? 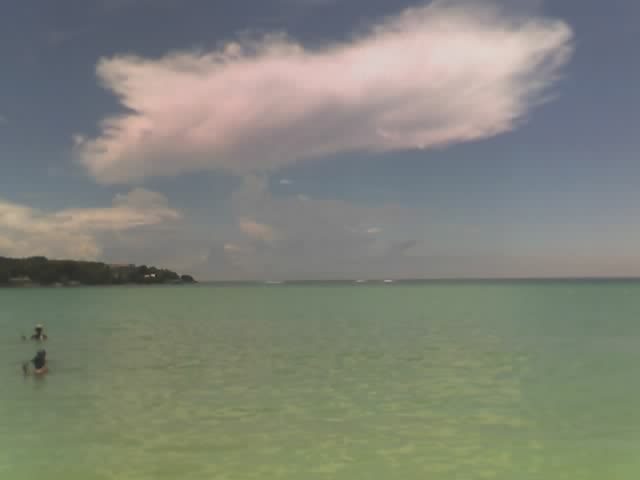 I miss sunny Puerto Rico--beach weather. I will share and celebrate with you when we have steady dry weather arround here for more than four consecutive days. 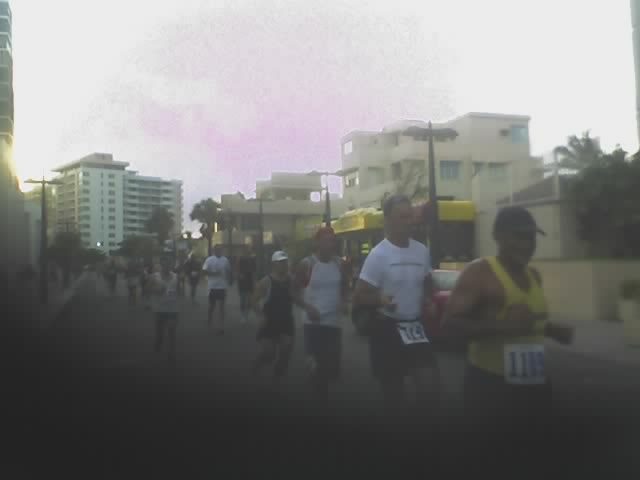 Last Friday I went to the city of Ponce on the South west coast of P.R. and stayed there until the early afternoon on saturday. Little did I knew that I was to be witness of the begginings of Tropical Storm Alpha. On Friday we had a partially sunny day and not a drop of rain until after sunset. But rains were light and didn't last long. Saturday morning I woke up at 6:30 A.M and since I was staying at a place by the beach I could see cloudy skies and some rainclouds moving toward the west over the ocean. We had rain on and off during the morning. And these became heavier as the day progressed. By noon I got surprised with the news of the formation of Tropical Depression #25 just south of the south west coast of the island of Puerto Rico! 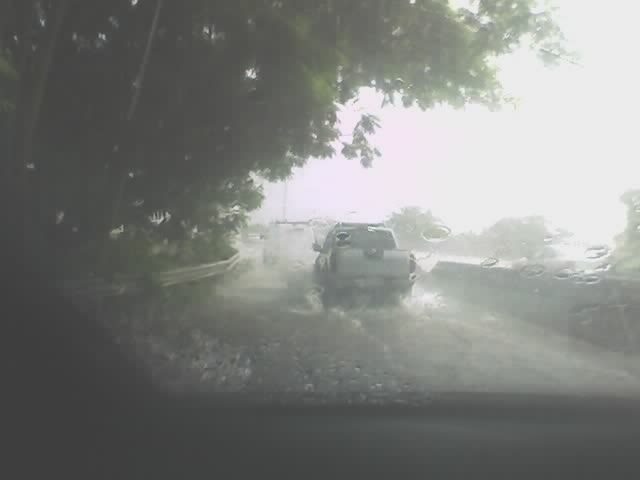 About 2:30 pm when I left Ponce, there were heavy downpours in there and some urban flooding (not bad really, very localized). We had some breeze but not gusty. As I went on the road over the mountanous interior of the island rains became heavier and it was a dangerous trip with plenty of fog/low clouds on the road. 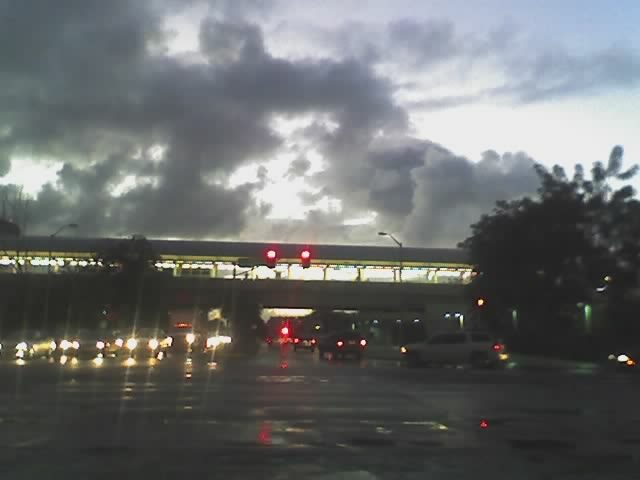 By 4:30 PM I was in San Juan(on the north east coast) where only light rain was experienced. Shortly after that I heard the news of ALPHA as an Tropical Storm. Today on Sunday morning we awoke to partially cloudy skies but have been getting rains again starting after noon. The rains come on and off as small as the outermost bands of Alpha are crossing over our island. All good here in Carolina, PR. 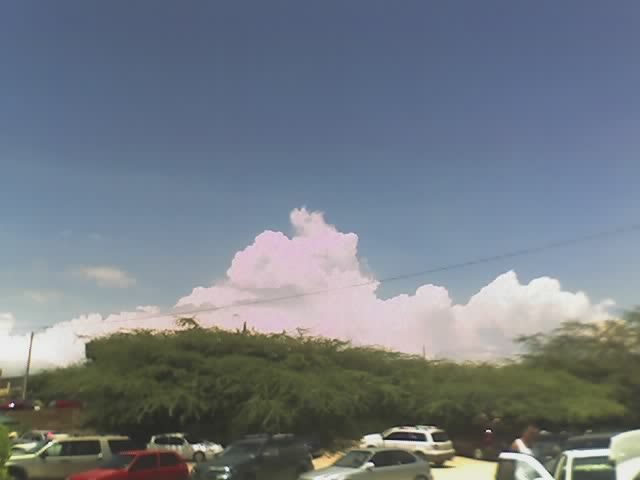 The day is sunny, temperature here is in the low 80's, but there are some grey clouds appearing in the southern horizon. A little wind blowing from the east and southeast, must be related to the system south of the island. The NWS has most of PR under a flood watch advisory. Best wishes to all and especially to those in the Wilma path. Hang in there guys! Here the sky is clear and the moon is beautiful as it lights the beach. Regardless this picturesque site, I worry about all those in Wilma's path, my prayers are for you all. The unusually large low pressure system remains nearly stationary and Flash Flood Watches & Warnings remain in effect for all of PR. A state of emergency has been declared in several local municipalities, including Lares & Utuado. Major & minor roads are impassable; rivers are all over their banks; mudslides are causing havoc; and the rains continue! Here in PR it has rained since yesterday non-stop causing many of the rivers to reach their flood elevation. Many streets are flooded in both urban and rural areas. As of this morning the rain has ceased a little in the metro area, but there's a really cold breeze (in my home it felt like in the 70's). Traffic was not as bad as I expected, guess many people decided to stay in bed (I don't blame them!). Take care all and keep dry. For those drivers in PR, take it easy on the roads, as they are wet and it seems it'll be that way for the rest of the evening. Umbrellas are also good to have. Heavy clouds n rain! Do not leaue home w/o ur raincoat. Photo from Floral Park, SJU. 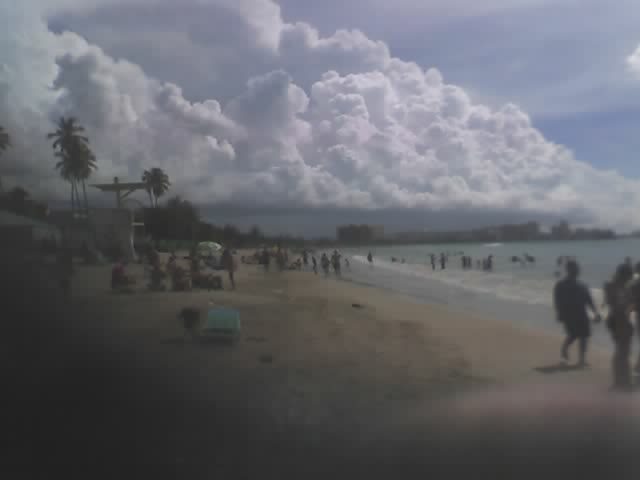 The morning and midday were cloudy and windy here in Isla Verde, but now the Sun's showing and the beach looks great. 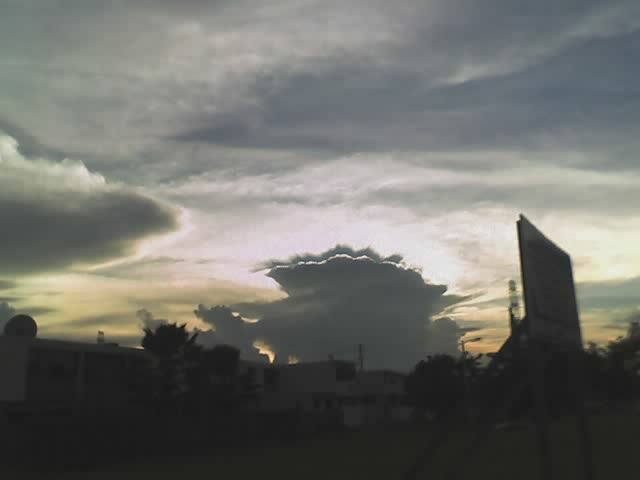 Nevertheless in the south horizon there are some dark clouds, hopefully they'll move on west away from this pleasant environment. My best wishes to all Stormcarib readers and correspondents. Here in the PR Guaynabo-Cataño area I just experienced a sudden downpour. 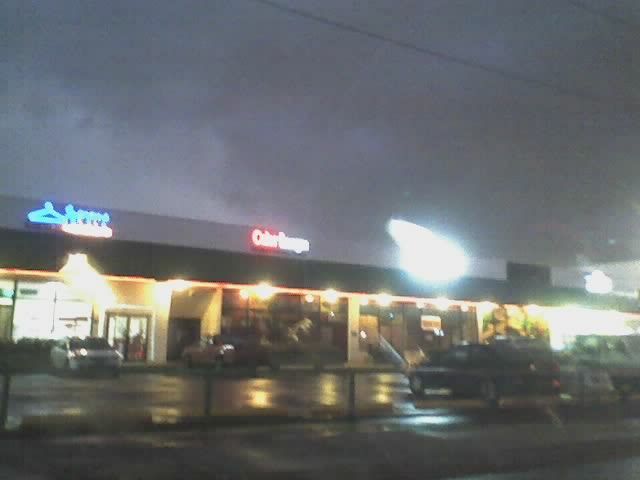 Although it rained for about 5 minutes straight the skies are still dark, there wass some thunder and I saw one lightning. The rain and wind have ceased for now, but it seems it will continue to be this way for a while. The US Nat'l Weather Service have issued a flood statement and a hazardous weather outlook for varous cities in the metro area and other areas of the island. A beautiful sunny beach day! Guanica, PR . Central island some clouds! 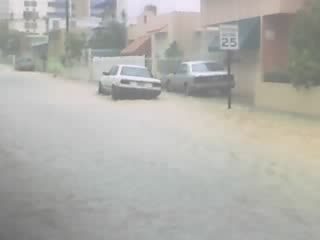 We had strong thunderstorms in Rio Piedras (San Juan) and copious rains starting about noon and ending after 5 p.m. Trafic over the metropolitan area this afternoon was very heavy due to lots of pools along many roads. 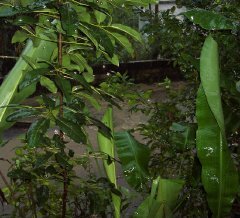 There were also heavy rains along many towns in the north coast of Puerto Rico. I am already getting anxious because of the "about to form" storm right to our southeast on the Atlantic. Everyone open your eyes - because if José shows up for a visit, he will be around the eastern caribbean area between tuesday and wednesday of next week. We had a VERY impressive 3-1/4 inches of rain here on the "mountain" yesterday afternoon in under 45 minutes! Amazingly enough, the power AND telephone stayed on. The NWS claims that most of the convection associated with this wave, located this morning just to our west, at 67 degrees, remains to the south of PR. Hmmm....Thank God! Well, I was prepared for a deluge today after having seen last-night satellite's picture. To my amazement, the sun shinned all day long in San Juan - believe it or not - there was not a drop of rain!!! At least in the Rio Piedras area of San Juan. It was a tipical summer day = very hot and sunny. Reporting from the Cordillera Central, near the town of Jayuya, in Puerto Rico. Our "backyard" is Cerro Punta, the third tallest mountain on the island. 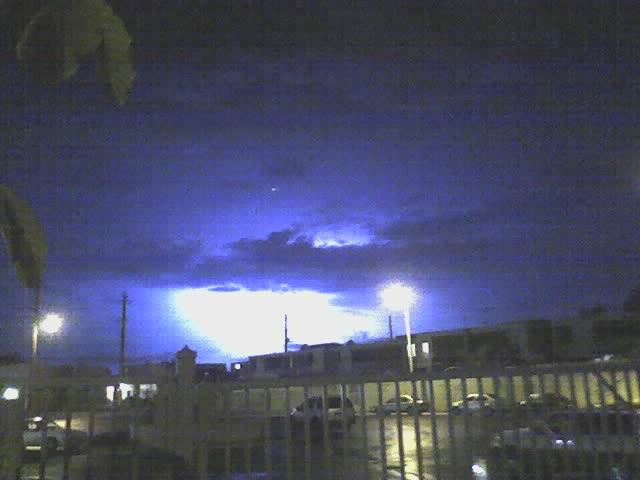 On our "higher terrain", we rec'd 2-1/2 inches of rain in the past 12 hours, accompanied by one heck of a light show. Power was off most of the night. But it appears that PR has "dodged" another one. Reports I'm getting say that Wave at 45W and Wave at 34W - Both moving significantly faster and development is not expected at this time. However, should they slow down, delaying their departure from the area, there would be a better chance for tropical LO formation. Will continue to monitor. New wave will emerge off Africa today. Sorry I made a mistake in the last report, I meant TROPICAL WAVE, not storm. My bad, I haven't had my coffee yet. Last night I drove through the tropical storm affecting PR at around 8:30 PM and I gotta tell you, that was impressive, wish I had had my camera with me. The constant lightnings lighted up the sky like if it were daytime, the thunders roared and even made my car shake on the road, and the amount of rain was scarry. 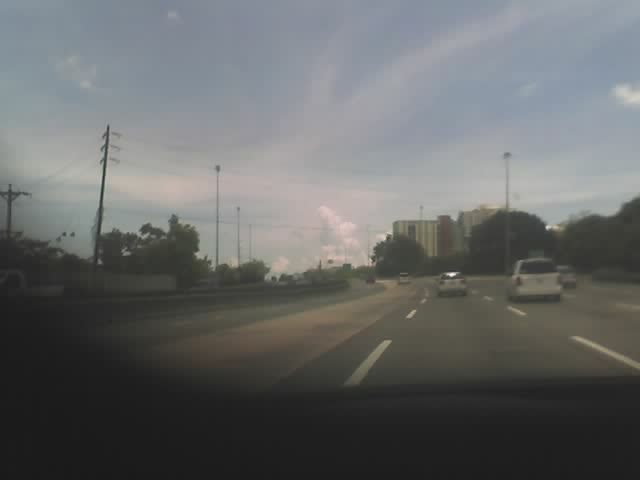 Due to the water runoff making its way on the highway (Rd #2) I had to drive at around 25 mph (It's a 50 mph zone!). There were 20 mph wind gusts (my observation, not exact), along with rain coming from the east. This morning there is no wind at all, the sky is cloudy (grey) all around the house, but atleast the birds are singing, that must be good! Take care all and have a nice weekend! 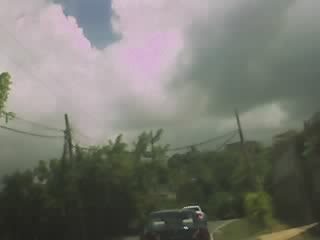 The rains from this strong tropical wave already started to fall here, in San Juan, since mid morning. It has been raining on and off, but momentarily heavy. 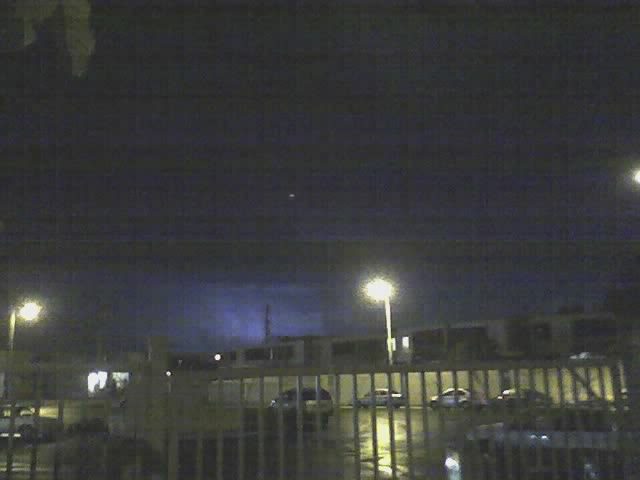 We are hearing some thunder since about 3pm. But so far nothing out of the ordinary. Hi! It seems that soon we'll see a nice tropical cyclone production on this week. Checking up some Experimental forecast Tropical Cyclone Genesis Potential Fields or "Models" we can see that: GFS or AVN model predicts three tropical systems during the next 7 days, two of them passing near or over Leeward Islands, Puerto Rico and maybe Dominican Rep. and Bahamas, the other one by day 7 would be in the middle of the Atl Ocean. Similarly, CMC model predicts at least one tropical cyclone passing over Northern Leeward islands and British Virgin Islands in two or three days. NOGAPS model puts the system more to the south of that islands in 48 or 72 days, with another tropical cyclone approaching to the area from the middle of Atl Ocean. Finally, UKMET model doesn't develop quickly these systems as suggest the other ones above mentioned. There were some light showers in the north central area of PR, this while I drove west on road 22. As of now the skies are clear, there's no wind, and the stars area beautiful! - The rains are here! The northernmost bands of Emily are reaching tonight Puerto Rico and the virgin islands. Here in San Juan, on the north coast, we had strong but short shower about half an hour ago. And as I write it is starting to rain again. The radar shows that it is only the beggining of a long rainy night. The day here was nice and sunny , though. We have a light breeze, nothing unusual. My thoughts and prayers for the people of Tobago and Grenada who look like they are going to get the brunt of this storm. WITH TROPICAL CYCLONE FORMATION POSSIBLE WITHIN 36 HOURS. I have been following this site for years, and is the first I will contribute anything; I am from Puerto Rico and went through Georges eye back in 1998 in Ponce. This link has some of the tropical forecasting models, is great to see what is in schedule up to six days ahead. I normally run the 950 or 850 mb vorticity on the field’s area, and animation. This is for information only, not to make any decision base on this information, for that you follow the National Hurricane Center advisories. like 100 * F! We can live with that. Enjoy Summer Time! 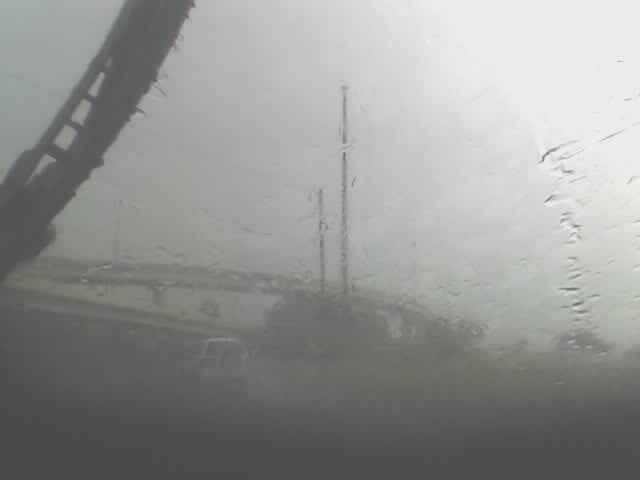 Heavy Rains  at  Metro Area SJU. Where is the Flash Floods Advisory? 2 late! Cloudy  at  the mountains...sunny  at  the metro area! Happy Hot Fathers Day 2 Al! deal w that. Welcome 2 Hurricane Season ...again! Rincón, Puerto Rico - hurricanes AT piratewaters.com J.G. It's a sunny Friday in Puerto Rico but as the first day of hurricane season approaches you can feel it.